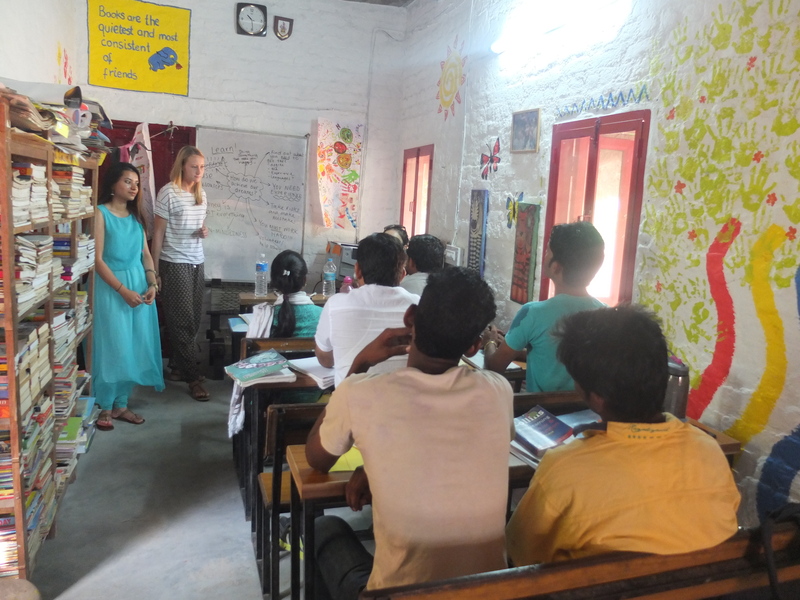 On the 15th of September 2014, the Warwick volunteers organised a career counselling session with the Laksh teachers. 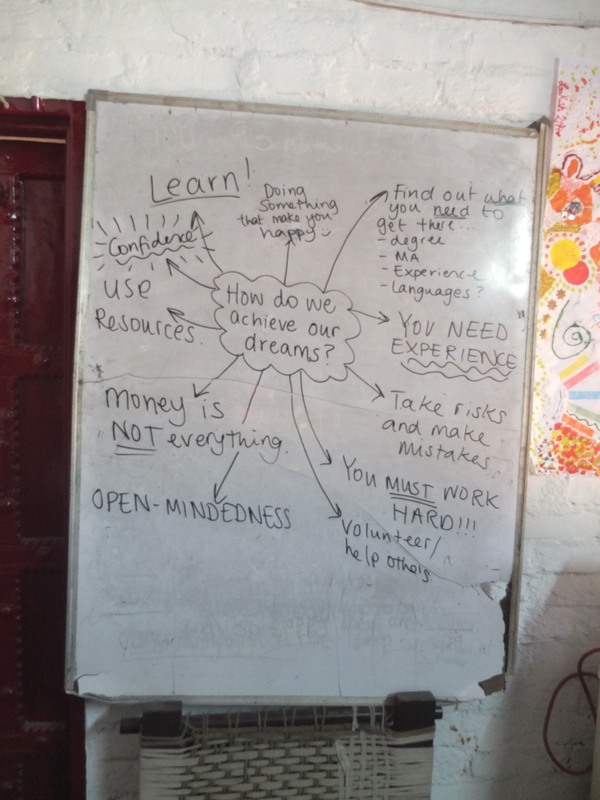 They asked a question to the Laksh teacher; how do we achieve our dream career? Then we had a huge discussion on that question and found lots of ways to achieve our dream career. 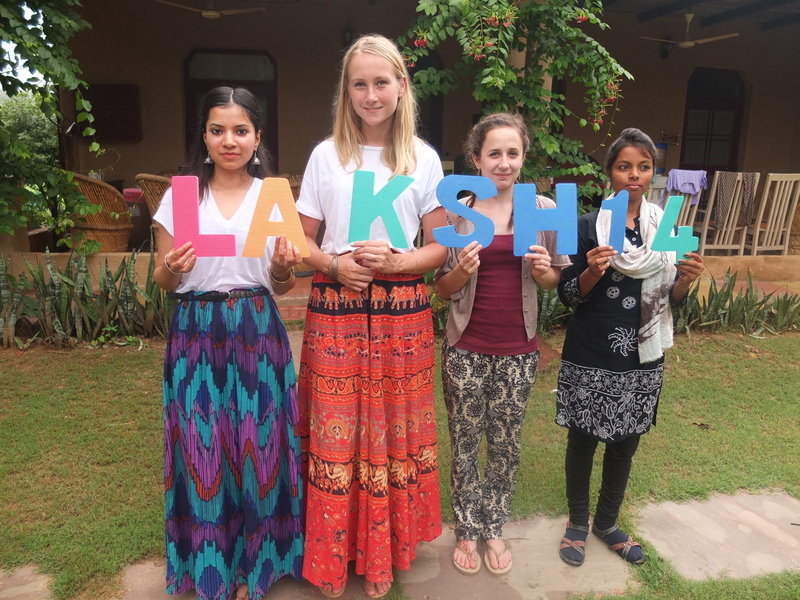 The training programme was new for the Laksh teachers. They all enjoyed it and learnt new things. 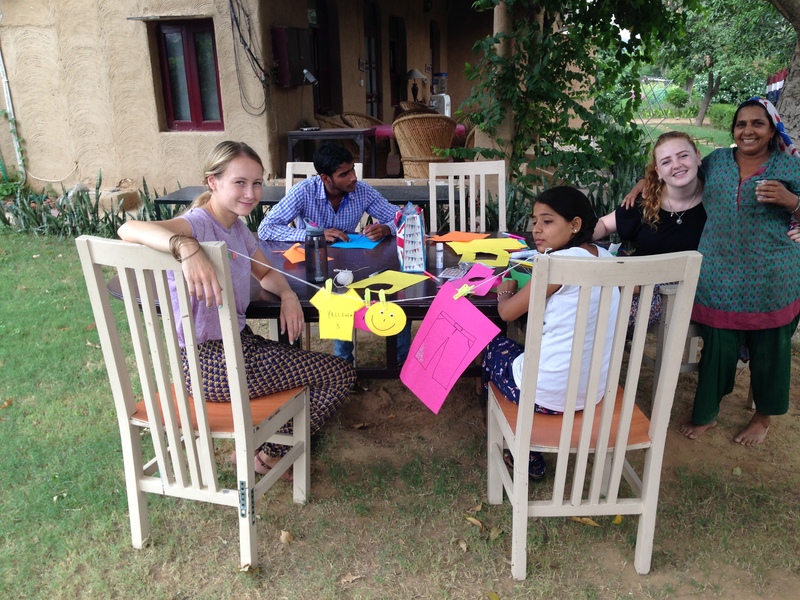 On 17th of September 2014, the Warwick volunteers organised a workshop on how to format a C.V and explained the importance of a good C.V. Then they discussed interview skills and conducted mock interviews with Laksh teachers. We had a very good time and a nice talk during the interviews. 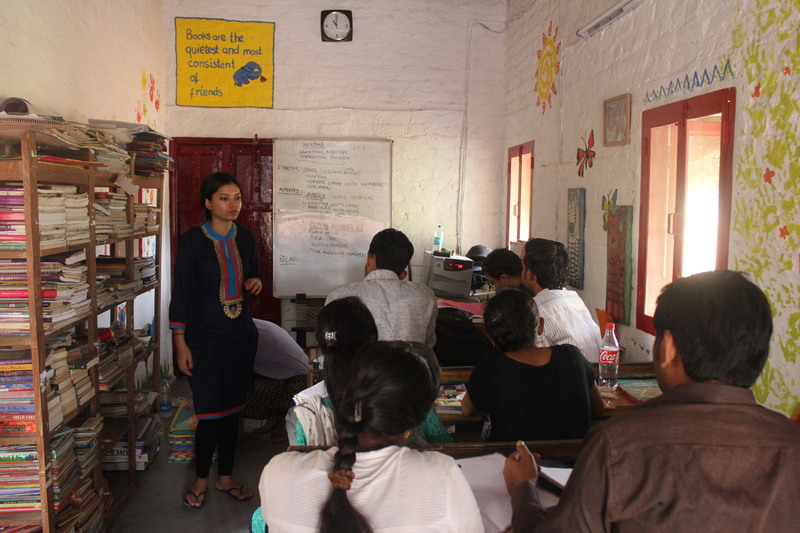 Thus the teachers were more confident about giving interviews at the end of this class, as some of them had never been in an interview situation before. 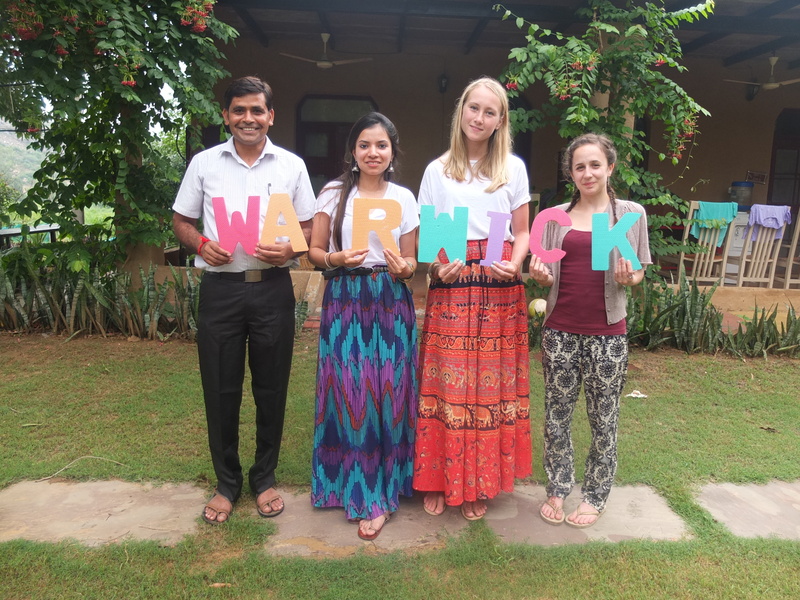 Today (18th of September 2014), we organised a farewell party for the Warwick volunteers. We played a string game during the farewell party. We started off with a ball of string and everybody passed the string to a person they wanted to thank and said something special about that person. For example, Sara started off the game and passed the string to Shokeen to thank him, who then passed it to Ramesh and Ramesh passed it on to Ash and so on. We were then left with a web, and we all cut off the string at the end to make friendship bracelets for the people we thanked. 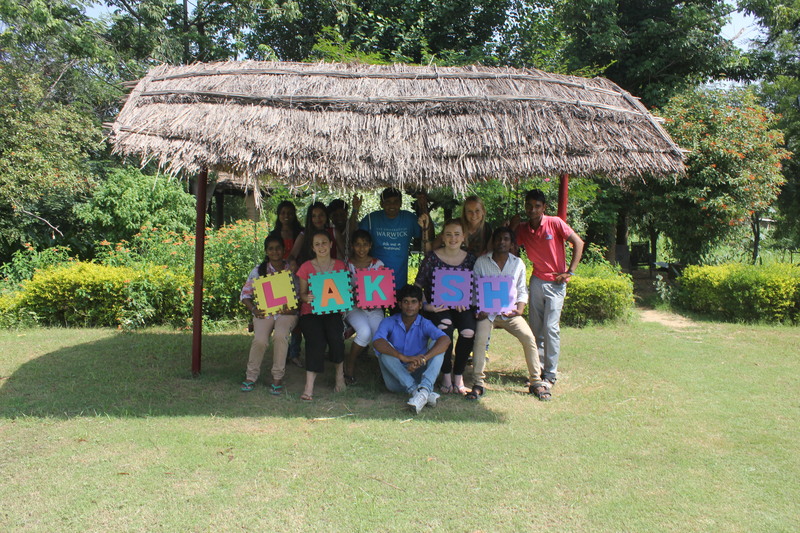 The Warwick volunteers organised a lunch party for the Laksh teachers. 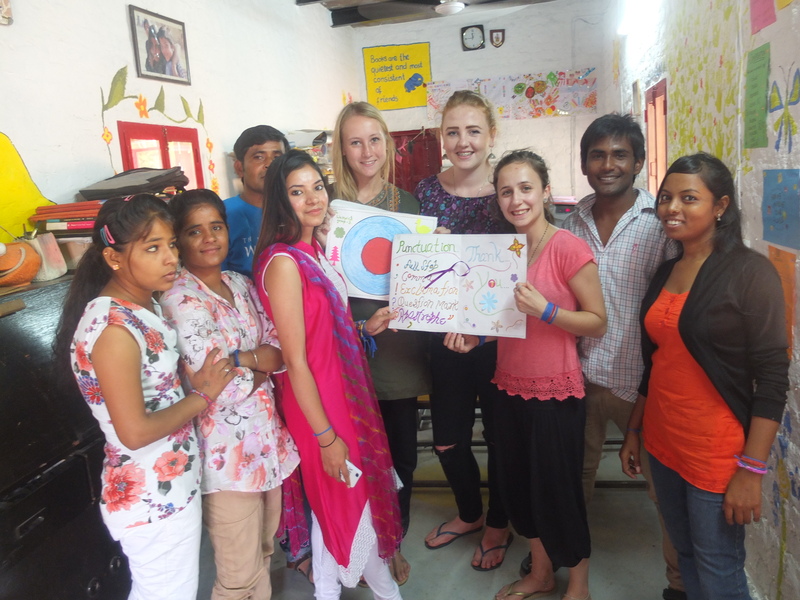 In the evening they visited all of the centres and said bye to the students and teachers. Thanks a lot, Warwick group 3! On the 8th of September 2014, we began our morning class on conversation. 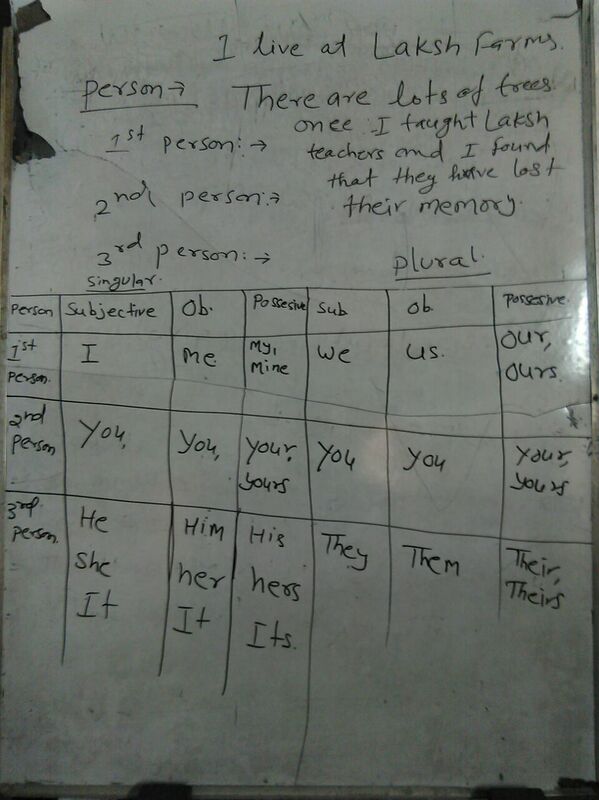 We realised that the teachers don’t use proper tenses when they talk or they explain the lesson plan. 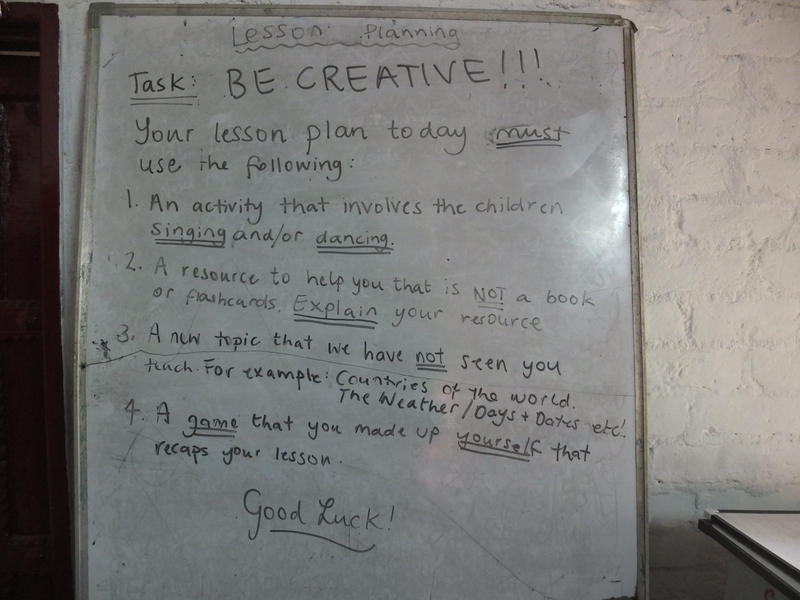 The Warwick volunteers wrote dialogues on the black board and the teachers read them. All of them understood and they all are following what they were taught now when they explain something. We all had a very good morning class in this way. We learnt new things. 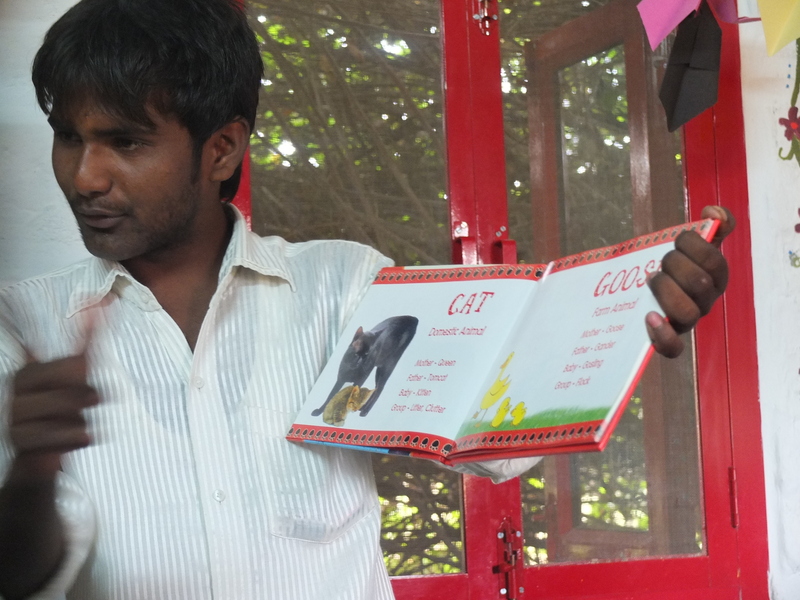 Evening: Sara went to Silakari Village, Ash went to Dhauj, Kim went to Manger Hill, and Cat went to Manger Village centre. 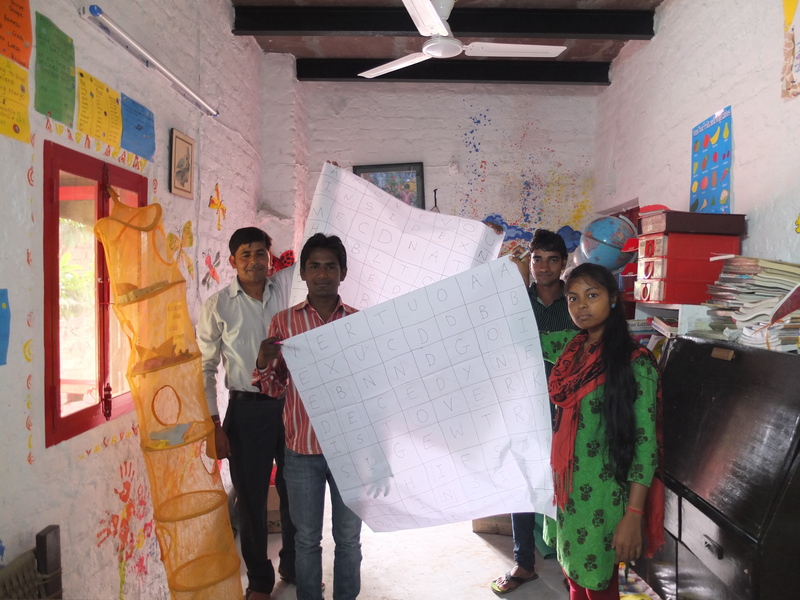 I visited four centres and everybody was very happy with their lesson planning. We made lots of sentences using punctuation. It was a very good lesson for everybody. On 10th of September 2014, we recapped yesterday’s class and made lots of sentences using punctuation. Then the Warwick volunteers decided to teach joining words together using apostrophe. We made lots of sentences using the short forms. 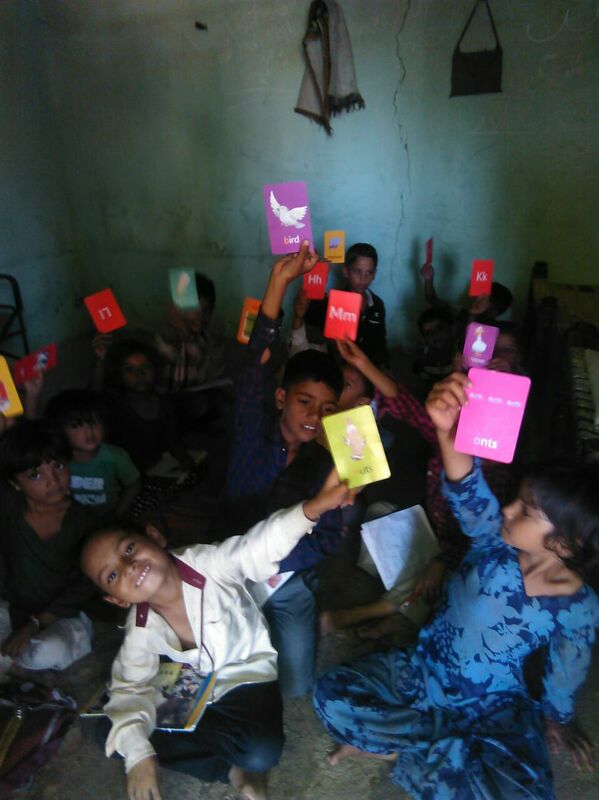 It was a new thing for the volunteer teachers and they were very excited about the lesson. 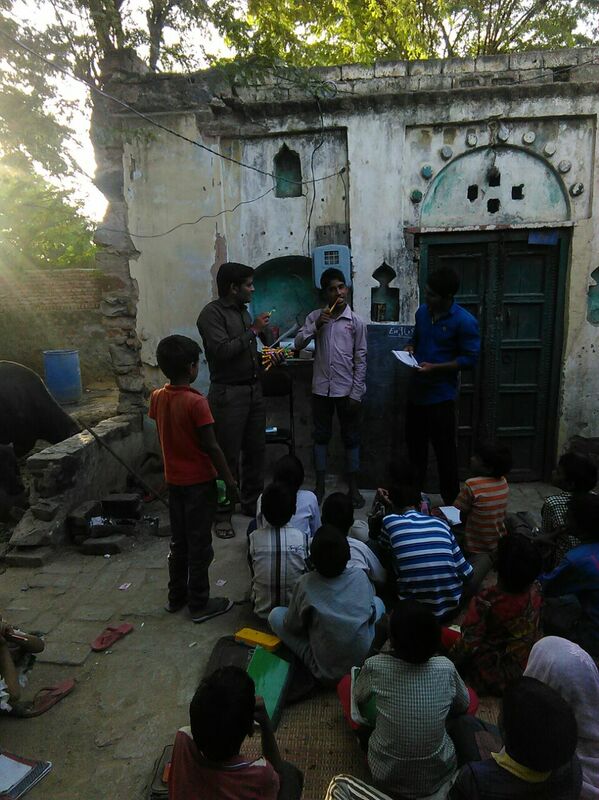 Evening: Ash went to Alampur Village centre, Kim went to Dhauj centre, Cat went to Manger Village centre, and Sara went to Manger Hill centre. 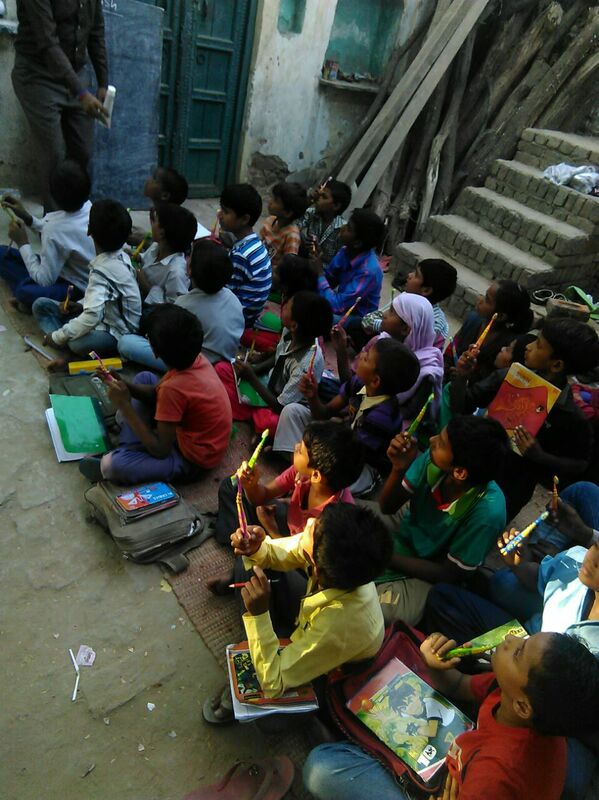 They were very happy to see the improvement in the teachers. Everybody was working very hard. 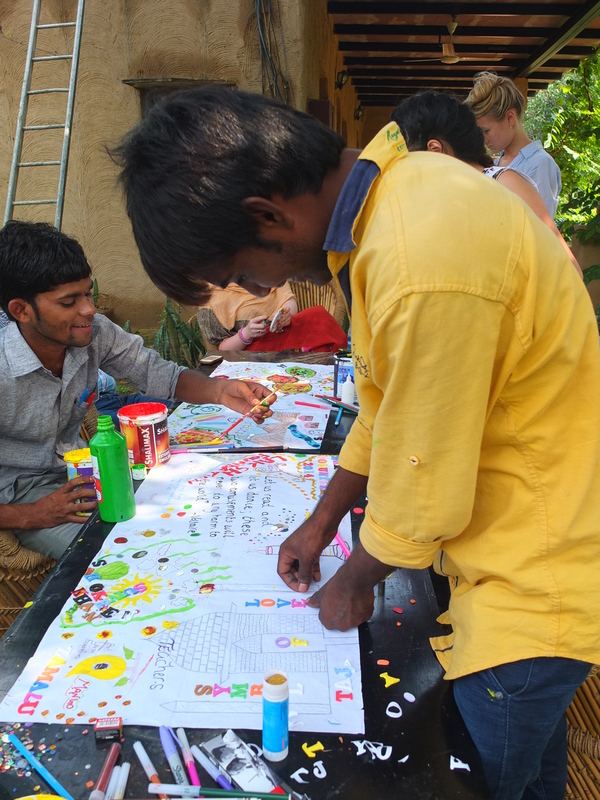 On 11th of September 2014, we started with yesterday’s recap activity in morning class. Then the Warwick volunteers explained about conversation. We divided into groups and got information from each other, then we were asked to explain the information that we got from each other. It was a creative way to know about the others and explain it. 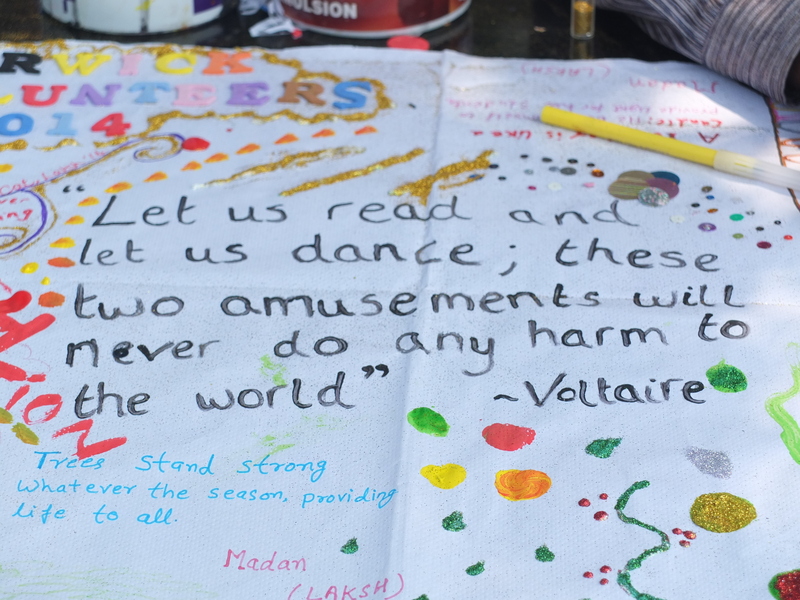 On 12th of September 2014, the Warwick volunteers planned to make a poster about inspirational things. 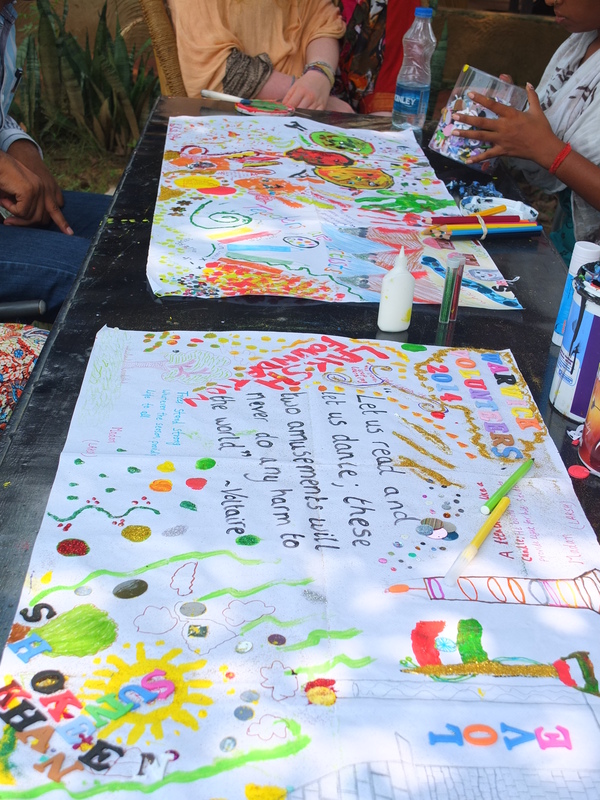 As you know everybody has different ideas and things which inspire them so we used this activity to discover our creativity. It went very well; we had lots of fun. We ate Samosas and Jalebi in the mean time. 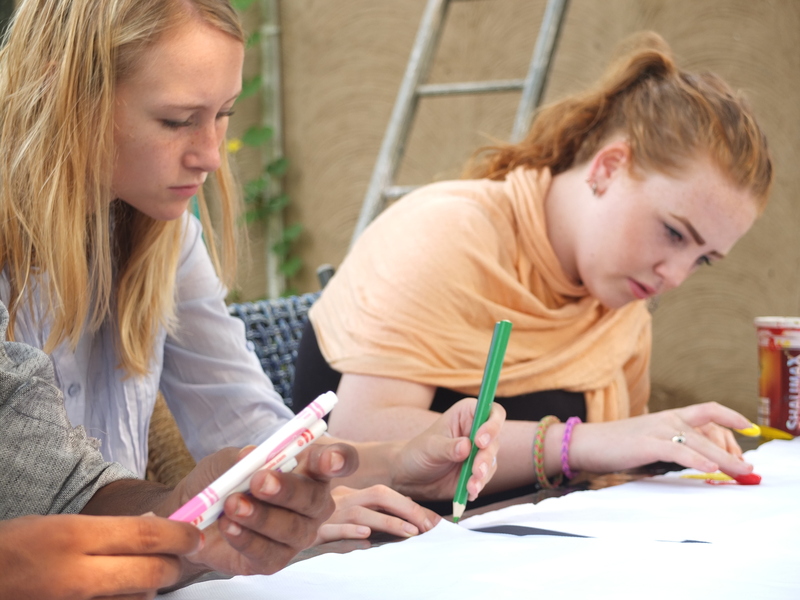 On 4th of September 2014, we started our morning class with a recap of yesterday’s activity. It was about prepositions. 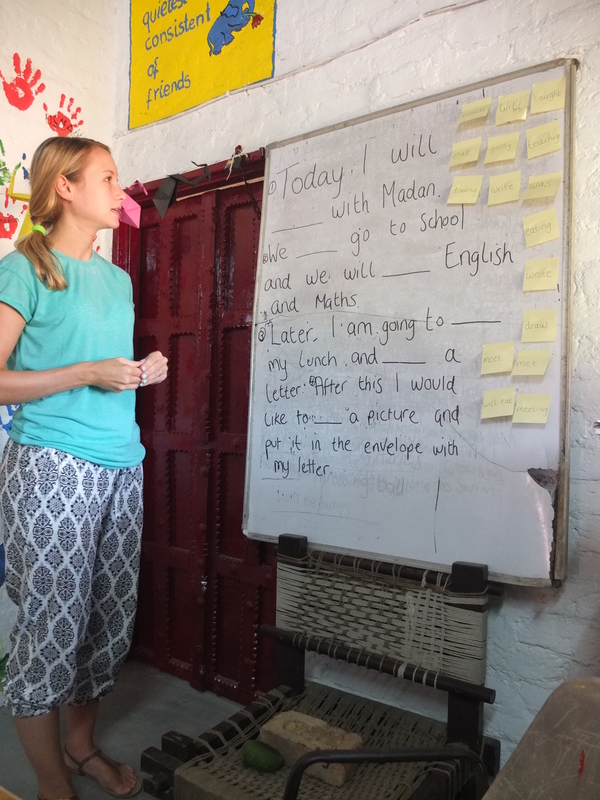 We asked the volunteer teachers to make sentences using prepositions. They all did very well. The Warwick volunteers made preposition word searches as a recap activity. Everybody found the resources from library and they explained their lesson planning with the resources very well. It is such a great experience for us to learn something new every day. 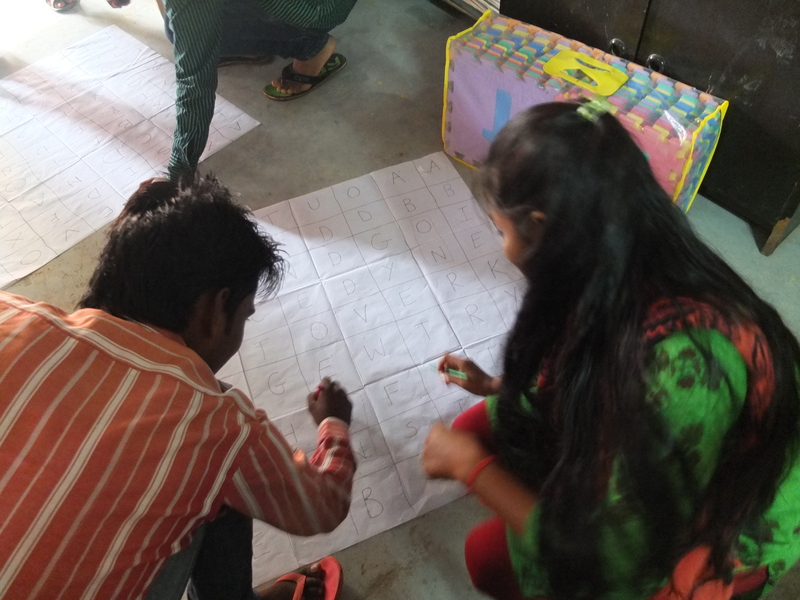 The teachers used lots of resources for example; a world map to teach the countries and charts to teach about weather, days, and dates etc.They explained their own invented games for recap and starter activities. In the evening: Kim went to Manger Hill centre, Cat went to Manger Village centre, Sara went to Silakari centre and Ash went to Dhauj. 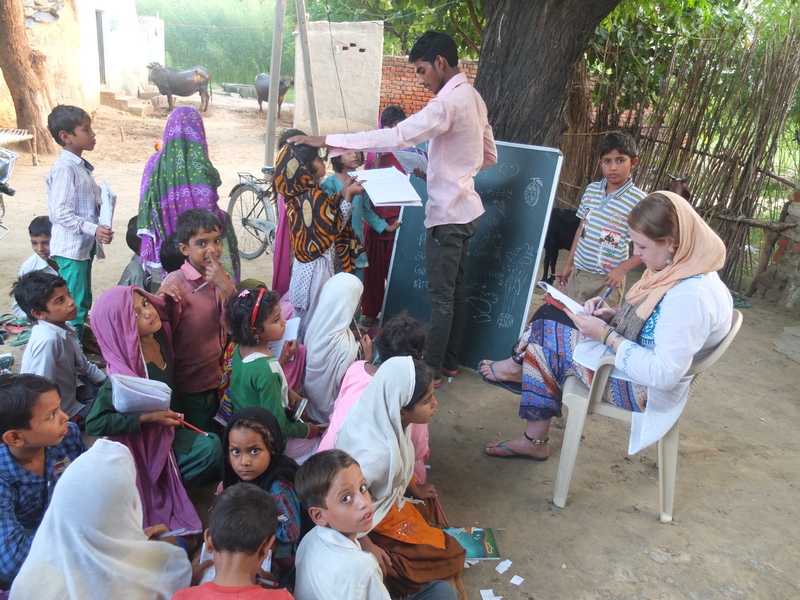 All the volunteer teachers taught well their explanation of resources was appreciable everywhere. 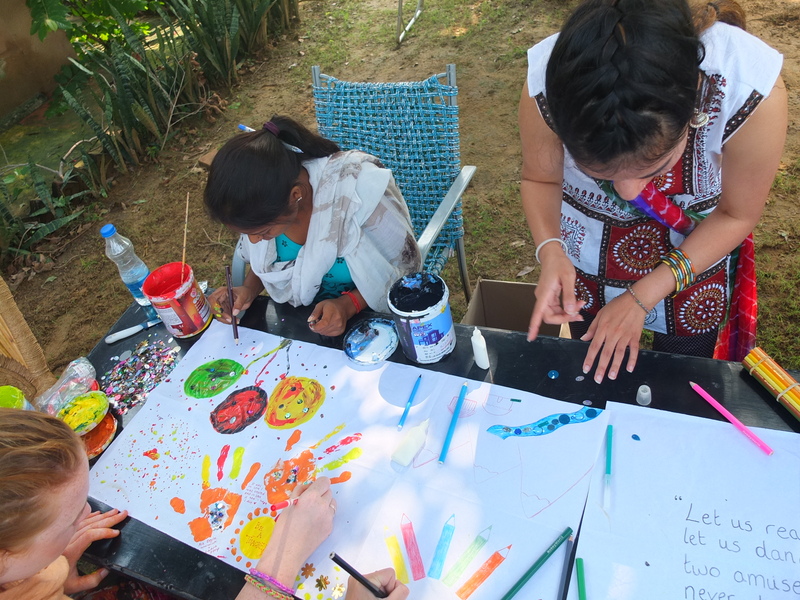 On 5th of September 2014, we celebrated Teachers’ Day. Every year we celebrate it because the second president of India was a teacher. His name was Dr. S. Radha Krishnan. After being a president he decided to celebrate his birthday as ‘Teachers’ Day’, a day where everyone respects and appreciates their teachers. 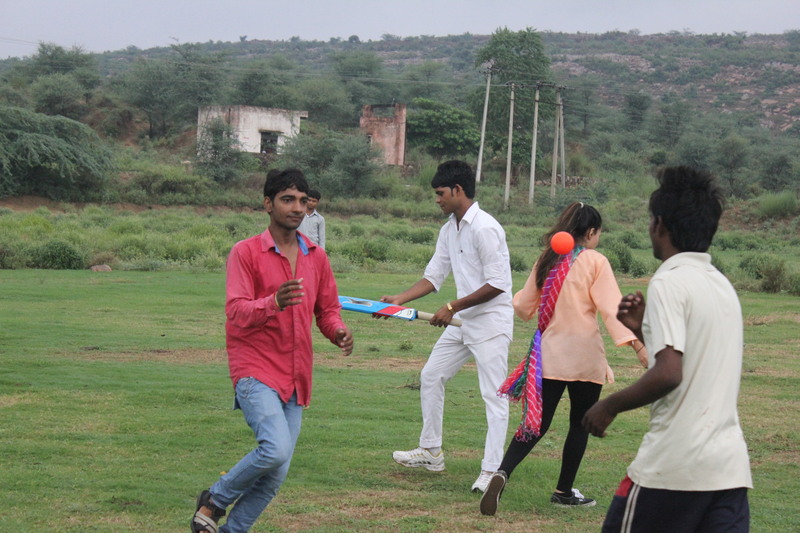 We played cricket in the morning from 6.30 to 8.30. We had lots of fun that day. 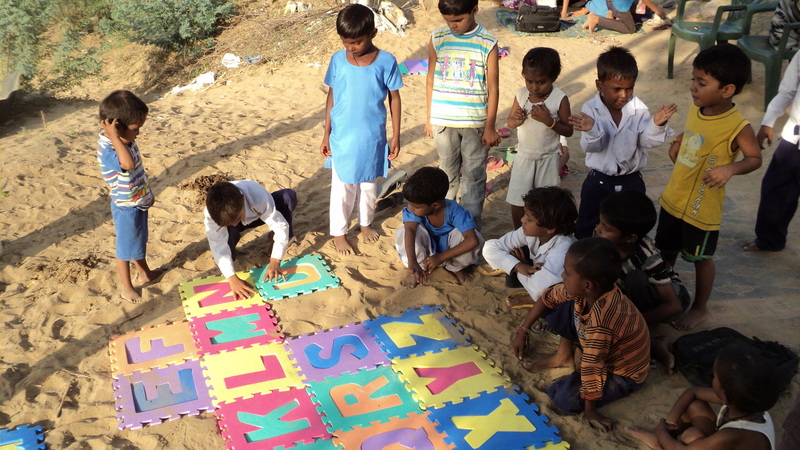 We played games and began our morning class with bingo. 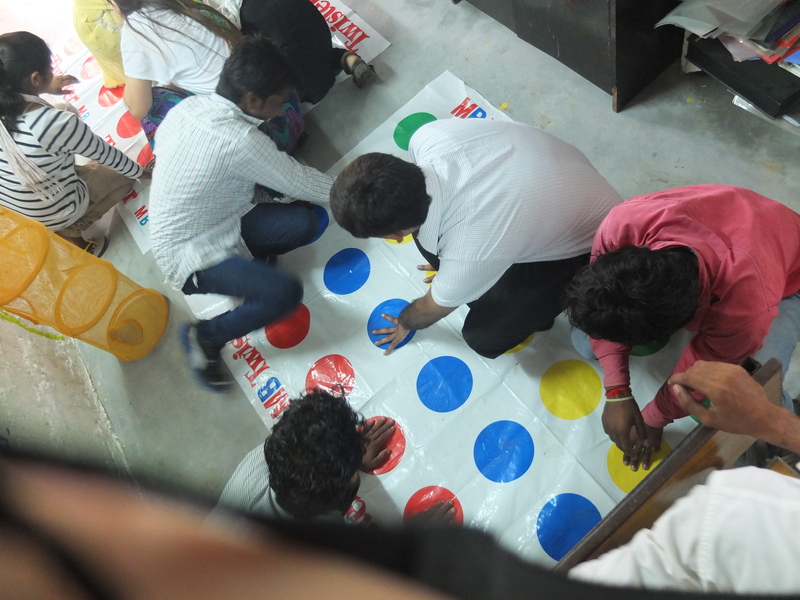 We played Twister three times as well. We had a competition between male and female teachers and male teachers won the game. We played Chinese Whispers and Wink Murder and in the mean time we had refreshment. We ate samosas and had cold drinks. It was really fun for all of us.